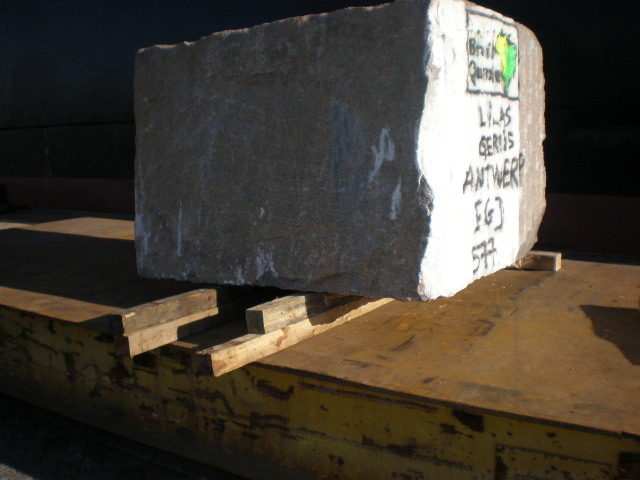 Granite is known for its durability, but it still needs to be handled with care during shipment since granite blocks are prone to chipping. Our gantry and jib crane vessels with box shaped holds and wide open hatches eliminate the need for forklifts, which reduces handling and minimises damage. 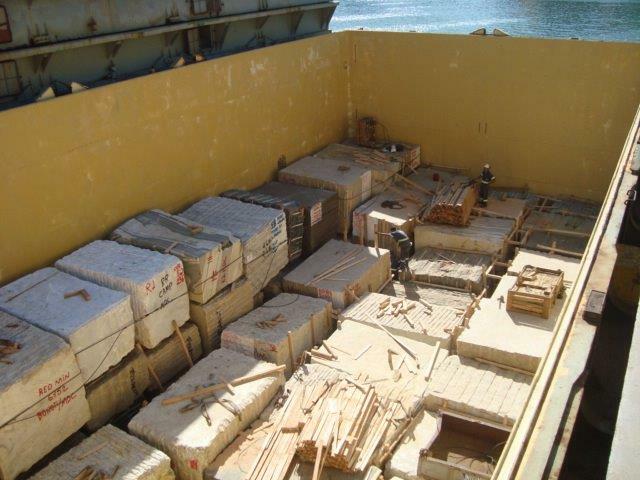 Granite blocks, which fit compactly within the holds, are discharged either directly onto the quay, barge or coastal vessel. 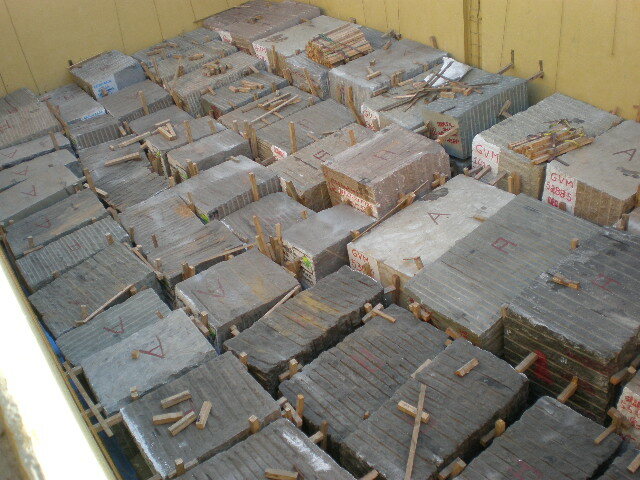 Like many commodities, granite can be traded several times during a voyage. 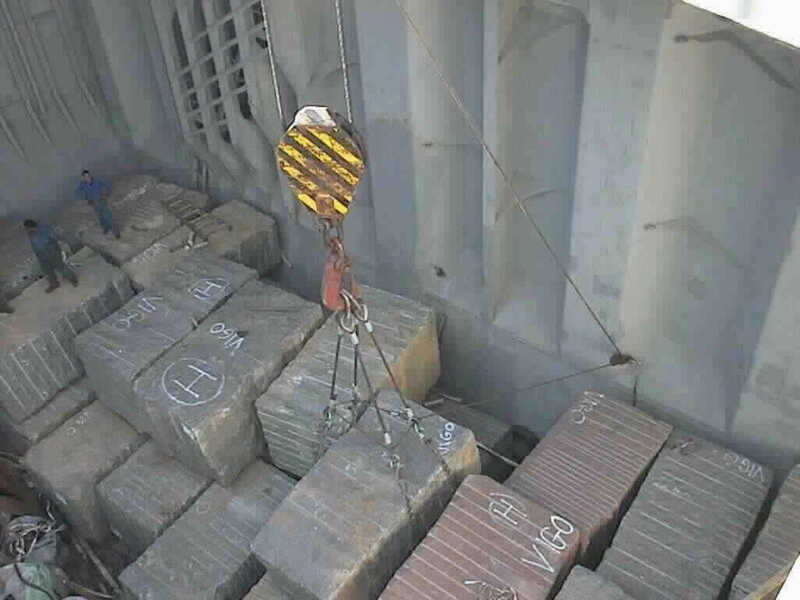 So it is important to have an accurate method of weighing each load without disrupting the loading process. We developed an active weighing system which transmits data from the load to a receiver on the quayside where it is recorded and compared with cargo manifests.